Lilian La Rue? Oh heavens, that name sounds like something out of a New Orleans drag show. Lily Street, maybe? But airy, fairy Lilian has been a serious mystery to, in particular, Gilbert and Sullivan scholars and students for over a century. Who was she? Should we ever know? 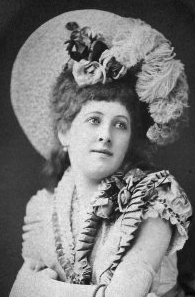 Miss La Rue arrived on the London theatre scene in 1879, and was promptly cast by D’Oyly Carte in the ‘Jessie Bond role’ of Hebe, in his second London touring company of HMS Pinafore, alongside that other (ex-)mystery Emilie Petrelli, as Mabel. In January 1880, she was brought in to the West End company, again playing Hebe and in the forepiece, In the Sulks. She was ‘sprightly and agreeable and sang the music with grace and refinement of style’. 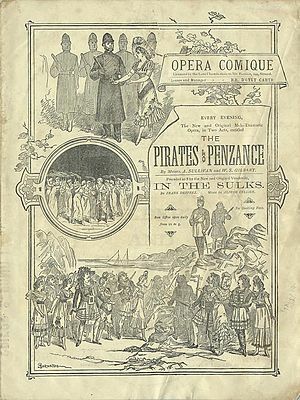 When The Pirates of Penzance was produced in London, Lilian was again allotted the mezzo-soprano ‘Jessie Bond role’ of Kate. Thus, her fascination for the G&S historians of today. Jessie Bond, as history relates, returned to claim her own, but Lilian was otherwise engaged. She was to join the Carl Rosa Opera Company. ‘Nineteen years old, American …’ Why? Admittedly, Rosa had done, and was still doing, extremely well with American singers – Packard, Julia Gaylord, Josephine Yorke .. but a teenager? Why was she not in Italy ‘perfecting her studies’? Or back in America learning her trade on home ground? Lilian made her first appearance with the company at Manchester in September 1880, as Mercedes to the Carmen of prima donna Georgina Burns, and progressed to play Frederic in Mignon (‘sang carefully and pleasingly’ ‘sang nicely’, ‘Her voice wants power but she sang spiritedly and with intelligence’) and Fatima in The Cadi (‘makes the best of a not particularly strong or brilliant voice …looks pretty’). Her next role was Lazarillo in Maritana, habitually played by Miss Yorke, the first contralto of the troupe (‘sang well and made a good impression’), but there was more dramatic to come. She was then given the star role of Carmen, originally the property, like Frederic, of the sizzling Selina Dolaro and of such as Zélie Trebelli. Julia Gaylord had played Carmen, and Georgina Burns, and both were still with the company. Why was Lilian being given this plum, rather than those experienced leading ladies? Her first try was equivocal. ‘Her voice is of peculiar quality … [but] no one can doubt her earnestness of intention’ .. ‘it is not the Carmen of Selina Dolaro, or of Emily Soldene, or even of Julia Gaylord…’. She had weeks in the provinces to work it in, before the Rosas opened (14 January 1882) at London’s Her Majesty’s Theatre. On night four, Lilian was introduced as Lazarillo, alongside Miss Burns, Leslie Crotty and J W Turner, and the London critics got to dissect her. ‘She has a good voice, somewhat alloyed in its purity by a faulty production, as well as by needless use of the tremolo, which renders it doubtful at times to determine the exact note she intends to deliver ..’. But they made allowance for first-night nerves and declared her to be by far the best actress or actor in the cast. Next up was Mignon and her Frederic went down much better, before, 26 January, Miss La Rue brought forth her Carmen. It was a decidedly transatlantic cast: Fred Packard sang Jose and Julia Gaylord, so often the representative of Carmen, was Micaela. The result was quite surprising. She was hailed for ‘a very remarkable performance … an ideal Carmen …’ ‘Fresh … new … young … different’. But it was her acting that caught them. 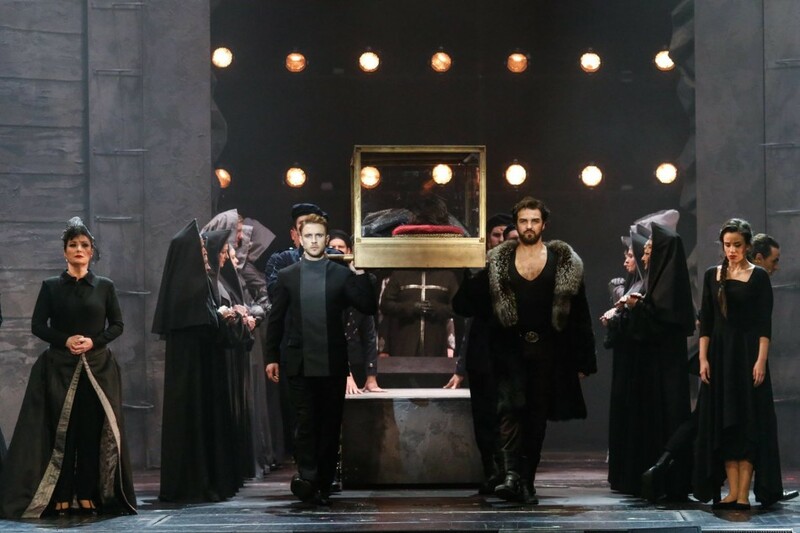 Her singing was dismissed, at the end of most reviews, as fair enough, at best ‘a mezzo-soprano voice of pleasing quality and a considerable degree of dramatic power’. ‘A refined Carmen of the most fascinating kind; a coquettish, wilful, passionate, vain, captivating little witch, utterly irresistible …’ claimed one paper. Another, disagreeing, felt she played it like a comic opera soubrette. And her singing was just all right. Another preferred her Frederic: ‘Frederic was taken by Miss Lilian La Rue, a debutante, who charmed by her fresh voice and pleasing stage presence, and who afterwards in the more exacting part of Carmen partially retained the good opinion she had won’. 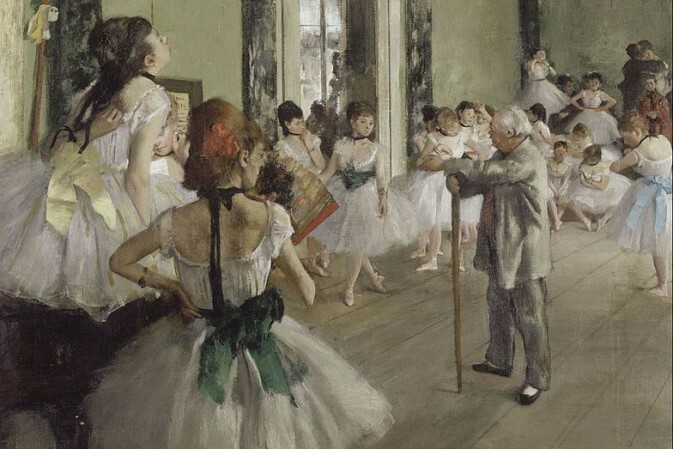 After the London season, the company played at the Crystal Palace and those performances were Lilian’s last with Rosa. Strange? After all the pains taken to establish her as an attraction. 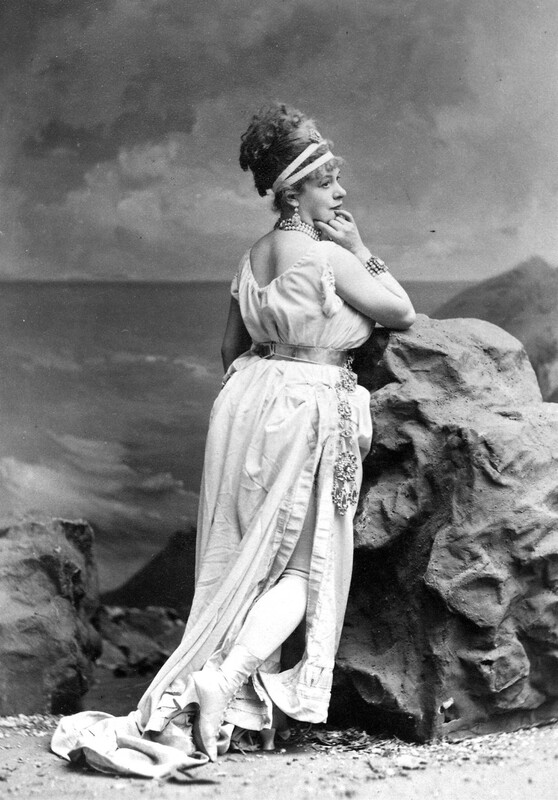 Lilian returned for a while to America, but in October 1883 she was back in London, at the Avenue Theatre, featured in a production based loosely on La Vie Parisienne and a semi-pasticcio Offenbach score. She played Christine de Gondremarck, now, for ‘proper’ England, the Baron’s daughter rather than his wife. ‘A voice of charming quality … she acts agreeably and has a ladylike appearance’. Not quite the visceral performance of Carmen. ‘No beauty and less voice’ snarled another critic. She played the role through till December, when the show was condensed and Florence St John, ‘the queen of comic opera’ brought in to replace her. Why? And that was the last that the theatre public, on either side of the pond, saw of Miss Lilian La Rue. Her career had lasted some three years, and left behind nothing but a row of question marks. Who was Lilian La Rue? Well, of course, I’m going to tell you.Her identity was never revealed in the press, as far as I know, but I found a way round that. What did we know of her? American. Everyone was firm about that. Nineteen (well, maybe a bit more). Where was the Carl Rosa company advertised to sing on census night 1881? Birmingham. Yes, there they were – the Gaylords, Josie Yorke, Georgina Burns, G H Snazelle — in digs in Bath Street et al. So I simply went through the whole census for Birmingham looking for young American ladies who weren’t servants or daughters. And soon all was explained. There was only one lady who fitted the bill. She was 25 and not 19 but everything else fitted. And she was actually sharing those digs in Bath Street with Josie and Georgina. Miss Frances Alice Jones, born Ohio. Younger sister of Miss Josie Jones ka Yorke. So that was how she had crossed the ocean, that was how she had swanned into the Carl Rosa, that was why Miss Yorke had given up to her the role of Lazarillo. The prima donna contralto’s little sister. 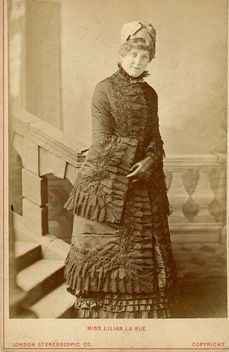 Miss Jones, fourth daughter of the soap manufacturer from Cincinnati. And the other end of the story? Well, the girls returned to America where Josie had been contracted to the Mapleson company. They made the papers when they got robbed in a New York hotel. Josie would go back to England and more career, but not Fanny. Frances Alice Jones died in Cincinnati, aged 30, in 1885.